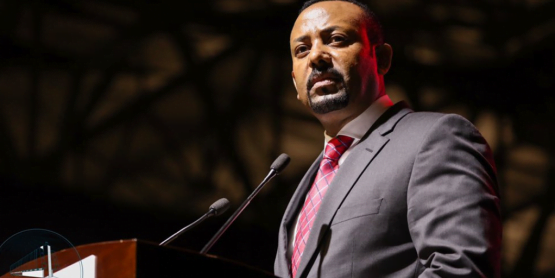 Addis Abeba, March 17, 2017 – For the second time in less than six months, the Ethiopian ruling party EPRDF-dominated parliament has declared a three-day nationwide mourning. 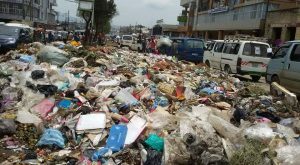 This time it is for the victims of a devastating collapse of a mountain of solid waste located 13 km southwest of the capital Addis Abeba on Saturday, March 9. 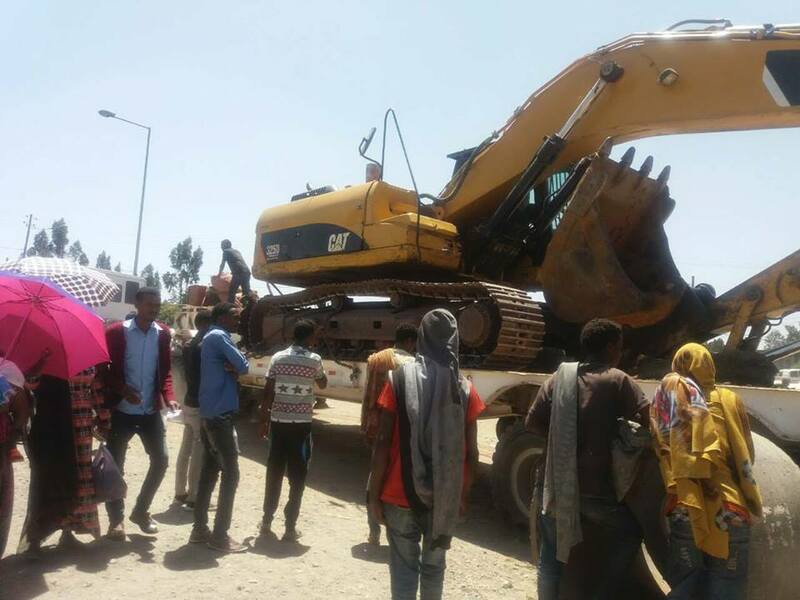 The story of the growing numbers of Ethiopians (115 as of yet) who died buried under a pile of Addis Abeba’s solid waste first broke nearly 12 hours after it struck. For such a story about Ethiopia’s “forsaken” [“we are the forsaken; why would anyone care, right?”], it was neither surprising nor unexpected. Officially known as “Reppi” landfill (commonly called by its local name Qoshe in Amharic) the area is a mountain of an open dumpsite where millions of tons of solid waste collected from the sprawling capital, home to some four to five million inhabitants, has simply been disposed off for more than half a century. The massive scale of decades-old evictions of the poor from the center of the city, which is, by all measures, a corruption-infested practice by city administration officials, means there are countless stories similar to Alemayehu’s. 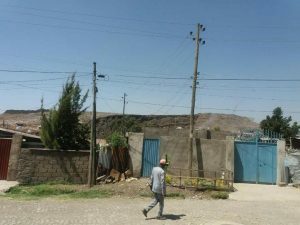 None of the dozen interviewees approached by Addis Standard say they become residents of an area surrounding a mountain of waste by choice. These include Mintiwab Gushe, a mother of four who lived in the area for the last 35 years, gave birth to all her children in the same mud & wood house they now remain buried under. Mintiwab is unable to compose herself to talk. 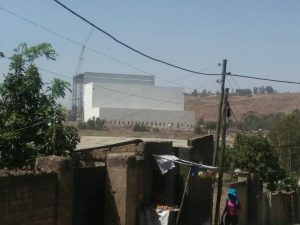 And others, such as Gurmu Kidane and his now missing family of two have come to Qoshe as recently as June 2016, when more than 200 special police task force units have started demolishing houses in Nefas Silk Lafto Kifle Ketema in western Addis Abeba, which city authorities claimed were built illegally since 2005. 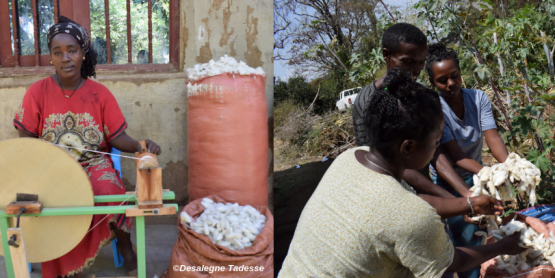 “My family and I came here after losing our house because my sister who got a new condominium unit and had rented her house here in Qoshe gave it to me so I can shelter my family,” said Gurmu. He owns a cement mixer and lives off renting it to construction sites. His 16 years old daughter and his wife are now among the missing. But the area surrounding Qoshe is not just home to the 200 or so households known to the city Administration; there are at least “500 households most of which also rent additional quarters to tenants,” said a young man who wants to remain anonymous. 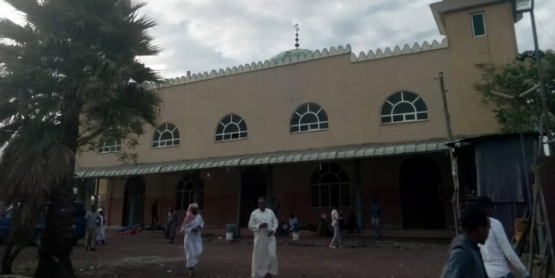 Here is where the story of Hadya Hassan, 72, fits. She rented her house to 13 different people who came from different parts of the country in search of labor. They are unregistered anywhere hence unknown to city officials. “We have been submitting requests to be relocated to our respective Kebele officials for years. Today, they came to see us mourn,” Hadiya told Addis Standard. Until 2014, Qoshe has consolidated its notoriety as the only open dumpsite that outlived its original purpose. For 54 years, it served as a dumpsite while having no facilities such as fences, drainage systems, odor control, or recycling methods. 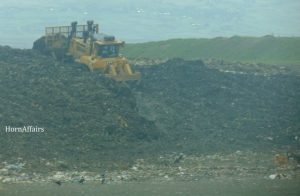 “The present method of disposal is crude open dumping: hauling the wastes by truck, spreading and leveling by bulldozer and compacting by compactor or bulldozer,” admitted a research overview paper commissioned by the Addis Abeba City Administration in 2010 and was delivered to the UN Habitat. 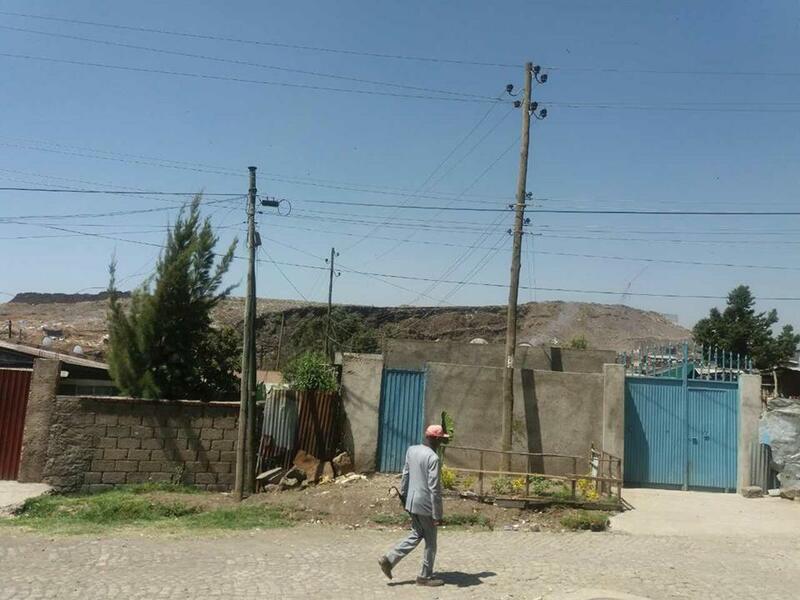 It also estimated that about 200,000 tons of waste was annually produced in Addis Abeba alone, of which 76% is generated from domestic households. The ten-years-old commissioned review is an early sign that city authorities have long been haunted by the black mountain of dumpsite they have created half a century ago and have subsequently failed to manage properly. Nor have they been short of policy recommendations from think-tank organizations funded by foreign governments. “Adequate planning of waste management is essential if communities and regions are to successfully address the challenge of a sustainable development, including resource conservation, climate protection, and pollution prevention,” reads one such action brief written in 2010 and was partially funded by the German government’s ministry of education. This was followed by a binge of workshops, both by the city administration and donors, research works, study tours to foreign capitals for high-level city officials including the Mayor, Diriba Kuma, and proposals on alternative sites and type of a state-of-the-art dumpsite. 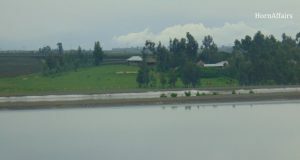 As the spree of talks and workshops began to take shape, in a process the details of which is shrouded in backdoor negotiations, in 2012 the Addis Abeba city administration decided to obtain 136ha land in Sendafa, some 30km northeast of Addis Abeba, and is home to hundreds of farmers. 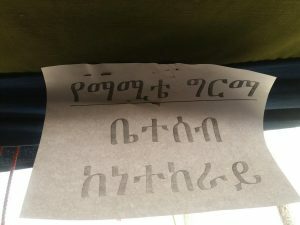 As of now, Addis Standard is not able to verify the availability of documents, if any, detailing the process and eventual decision by the city administration to acquire this plot of land in Sendafa. 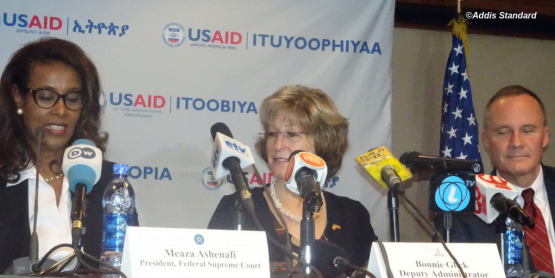 Be that as it may, with a US$337 million grant secured from the French government, and a project office assigned to do the job – Addis Abeba Waste Recycling & Disposal Project Office – the city administration looked poised to turn Sendafa Sanitary Landfill become everything Qoshe was not in more than 50 years of its history. Sendafa Sanitary Landfill had a US$27.6 million initial budget; it is supposedly guided by an elaborated Environmental and Social Impact Assessment report; it had a 40 million birr [roughly US$1.8 million] compensation scheme for the farmers to be displaced by the project; it was benefiting from the rich experience of VINCI Grands Projets, a French construction company (coincidence? ); it was to be assisted by four separate waste transfer stations for preliminary treatment of waste; and city officials determined to change the city’s face defiled by the solid waste its residents keep on producing and dumping carelessly. Sendafa Sanitary Landfill had everything to become a modern-day landfill. 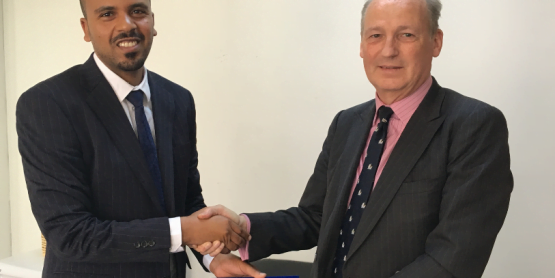 Simultaneously, city administration officials have assigned a US$158 million for a project to turn Qoshe into a 50mw waste-to-energy plant and have awarded the contract to the UK-based Cambridge Industries; this was to be followed by yet another ambitious work to turn Qoshe into a green public park. 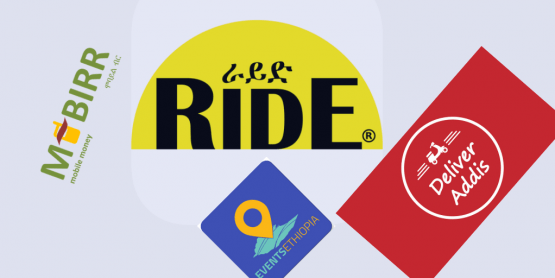 This plan to green Qoshe was receiving institutional guidance, including from the Addis Abeba University (AAU) and the Horn of Africa Regional Environmental Center and Network (HoARE&N). 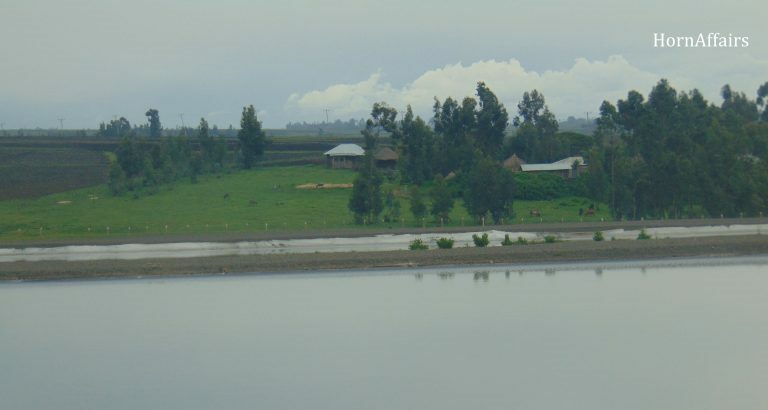 If the French government came to the financial rescue of the Sendafa Sanitary Landfill, turning Qoshe into a waste-to-energy plant and a green park is enjoying a large sum of donors’ money Ethiopia is receiving in grants as part of its newly designed Climate–Resilient Green Economy (CRGE) planned to last for 20 years at cost of US$150 billion. One of the four pillars stated in this new lucrative project is the government’s wish to expand “electricity generation form renewable energy for domestic and regional markets.” Among the major contributors to this project are the United Nations Development Assistance Frameworks (UNDAFs) and OECD countries. 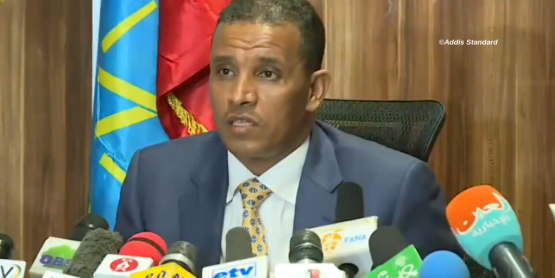 However, reminiscent of delays the Sendafa Sendafa Sanitary Landfill experienced, the Qoshe waste-to-energy project has already missed its opening deadline several times. Delayed as it may, Sendafa Sanitary Landfill opened in February 2016; Qoshe took its first break in 53 years. 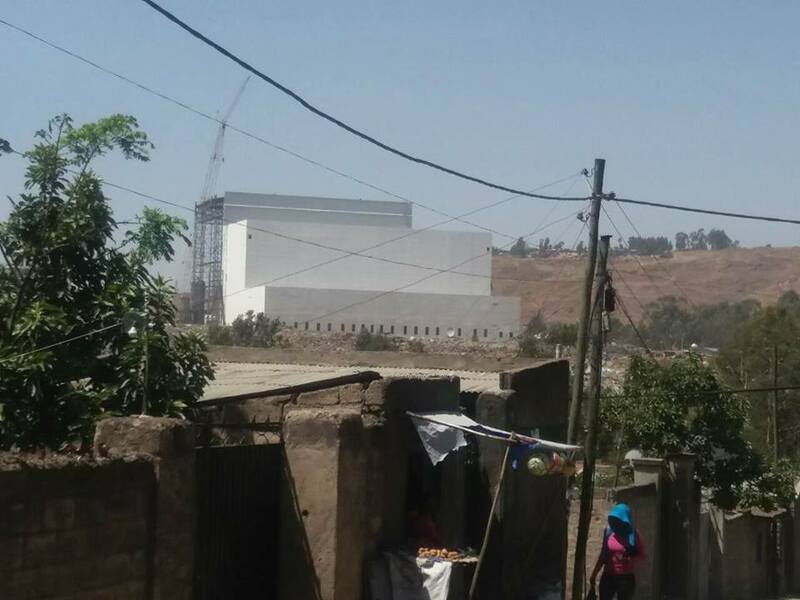 But six months into its service, Sendafa Sanitary Landfill imploded, leaving Addis Abeba to explode with its waste. 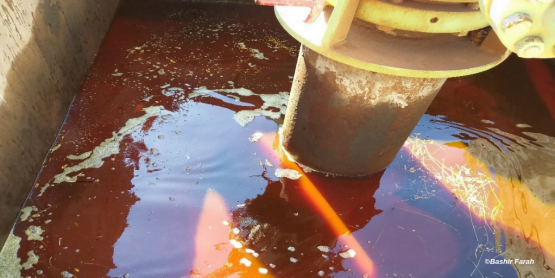 In July 2016, farmers living in and around the new landfill have forced garbage trucks to stop dumping the city’s unsorted, crude waste in the landfill. Addis Standard is unable to hear from VINCI Grands Projets representatives because its office is nowhere to be found in the addresses it listed was its location: “Sendafa Subcity – Woreda 13 and Yeka Subcity – Woreda 13 (Ayat Village Zone 06) Legetafo road.” And there is no registered telephone line under the company, or at the very least, operators at the state owned telecom giant are not aware of it. But that doesn’t change the fact that Sendafa Sanitary Landfill was not only incomplete when it started receiving the city’s solid waste, but also none of the four waste transfer stations incorporated in the plan were built. These were sites designed to serve as preliminary waste treatment sites and were planned to be built simultaneously in four separate sites including Akaki sub city and Reppi itself. 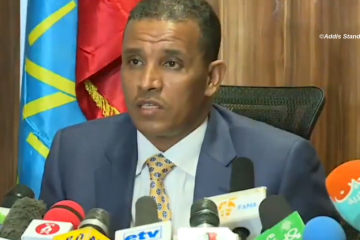 “And yet, in Oct. 2016, the Addis Ababa City Government Cleaning Management Agency spent close to US$5 million to purchase 25 compactors and ten road sweepers designed to be given to all sub-cities to boost the existing, old compactors in order to dispose off the city’s waste in an efficient manner at the designated waste transfer sites. This was the second time the agency made such huge investment to buy compactors. Already in 2012, it bought 19 compactors at a cost of US$3.9 million; almost all of them were sitting idle by the time Sendafa Sanitary Landfill was opened,” our source at the Agency said. 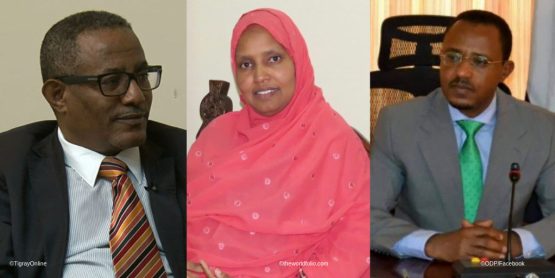 Having consumed millions of dollars, but being not much of use in a city that never knew how to sort its garbage, Sendafa was quickly becoming just another Qoshe and the farmers were a storm in wait. Under-compensated (of the 40 million birr originally assigned as compensations package, an official from the Solid Waste Recycling and Disposal project Office admitted having disbursed only 25 million – but the actual payment is even less than five million birr); dispossessed of their land; lied to as they were told their land was needed for future construction of an airport; and forced to live near a landfill that already started to stink, the Sendafa farmers have refused to accept nothing less than the total closure of the landfill. 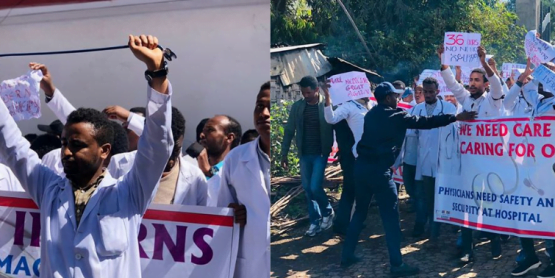 And as the yearlong anti-government protests that started in Nov. 2015 continued to gather momentum, questions also began popping up; questions that probe the tumultuous power the city of Addis Abeba exercises over its surrounding villages administratively belonging to the Oromia regional state. 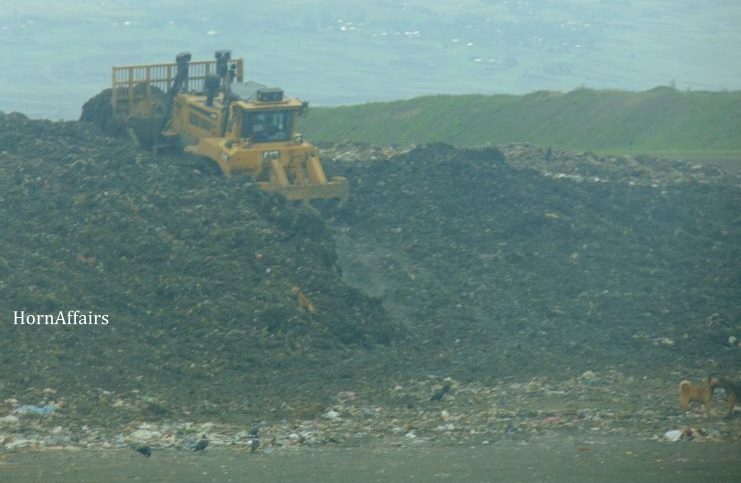 Authorities both from the city administration and the Oromia regional state were locked in last minute discussions to avoid the fallout, and find ways to re-open a US$27 million worth new landfill, to no avail. 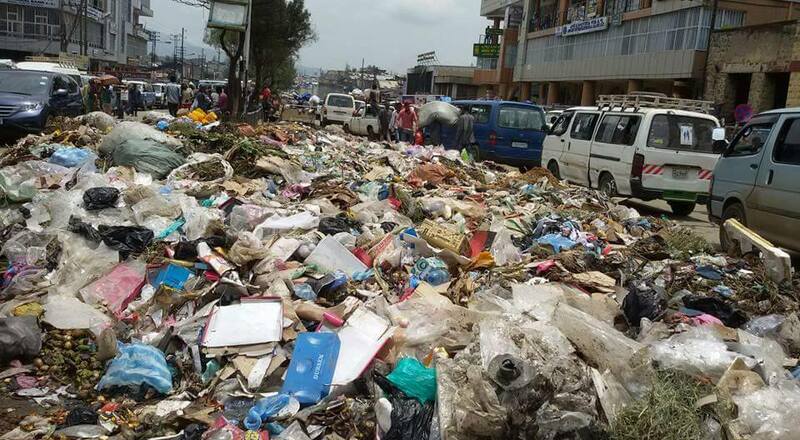 As the pile of solid waste threatened Addis Abeba in the middle of the summer rainy season, the city administration decided to quietly reopen Qoshe. Meanwhile, while the planned constriction of the 50mw waste-to-energy plant is still ongoing, the plan for earlier promises to turn Qoshe into a green public park has stalled. With the collapse of the black mountain, its residents are now left with nothing but unknown numbers of victims. The collapse of this mountain of waste also deprived a means of income to no less than 300 waste pickers who scour it every day. Some of these are residents of the area, but many come from the city in search of something valuable, including food. Qoshe is not new to life-devouring accidents. In 2015, a flashflood had displaced more than 70 households, many of which are plastic makeshift; in 2014, shortly before the closure of the dumpsite, a small collapse triggered by waste pickers had killed about 13 of them. Commentary: Protest-driven ‘economic revolution’: can it solve bread and butter questions?